Having trouble switching off from your PhD? How climbing can help. Anxiety, writing guilt, brain that won’t switch off – these things are all too common amongst PhD candidates – myself included! Here’s how rock climbing is proving to be the ultimate tool in my self-care arsenal. Just a few minutes more, just one more paragraph tweak, just one more analysis, just one more paper – it’s far too easy to let PhD work take over your life, to the detriment of your health, happiness, and ironically, your productivity. Breaks are touted as the answer, but it can feel almost impossible to switch off. So what is the answer? For me it’s rock climbing. What’s so special about rock climbing? In this context, it’s the beautifully simple process of 100% pure concentration. 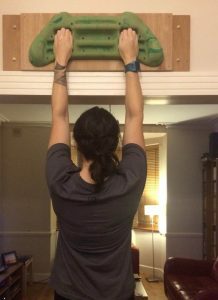 I defy anyone to get part way up a challenging route and think about anything other than the holds they’re using using and the next move. This completely in the present mindset is like a holiday for your PhD riddled brain, which is nothing short of wonderful. 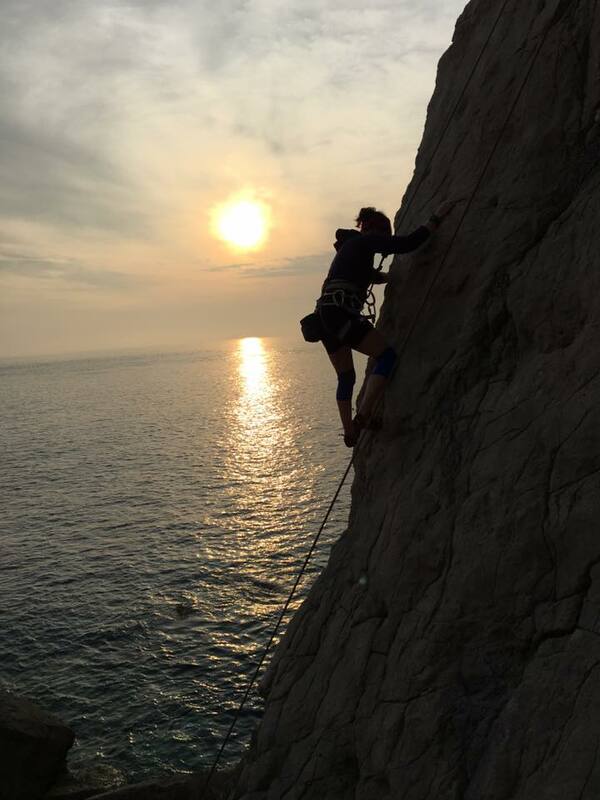 Outdoor climbs are…outdoors! 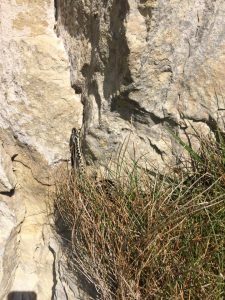 Getting out in the fresh air is pretty mandatory for wellbeing, and outdoor climbing areas are usually stunning and full of awesome wildlife. Beautiful male adder at one of my local crags in Dorset, UK. 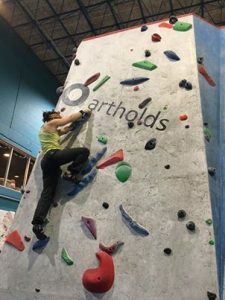 When the weather is rubbish or there aren’t any outdoor sites near you, indoor climbing and bouldering walls are now EVERYWHERE! Most cities will have at least one, and they often offer student discount – bonus! Climbing can be great for your social life. If you take part in roped climbing (as opposed to bouldering), you’ll need a buddy to keep you safe by belaying you – holding the other end of the rope in case you fall. Solid friendships are quickly built this way – you’ve got to trust someone quite a lot to put your life in their hands! Going solo at the bouldering centre also offers great chances to meet lots of like-minded people. 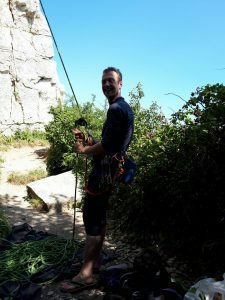 My favourite belay buddy – SharkStuff co-founder Chris Jones. You’ll get seriously fit and strong. Climbing is an incredible workout that quickly builds flexibility, strength and stamina. You’ll also never need help opening a jar again. Fingerboard training = super strong digits! So there you have it! Rock climbing is all-round the business, and I heartily suggest everyone give it a go. If it’s really not your thing, find out what is. Find the activity that completely focuses your mind on anything but your PhD. You, and your work, will feel the benefit!